Even thinking about writing a letter to Thay to ask him to accept me as an aspirant member in the Order of Interbeing brings tears to my eyes. I feel so moved to approach him directly. My hero, my role model, my anchor point in times of trouble, my light at the end of the tunnel, my hope and encouragement. In this moment of despair and my inability to open my heart to my suffering, I feel so deeply moved to know that support is available, that I have a path through this moment of grief, sadness and pain. 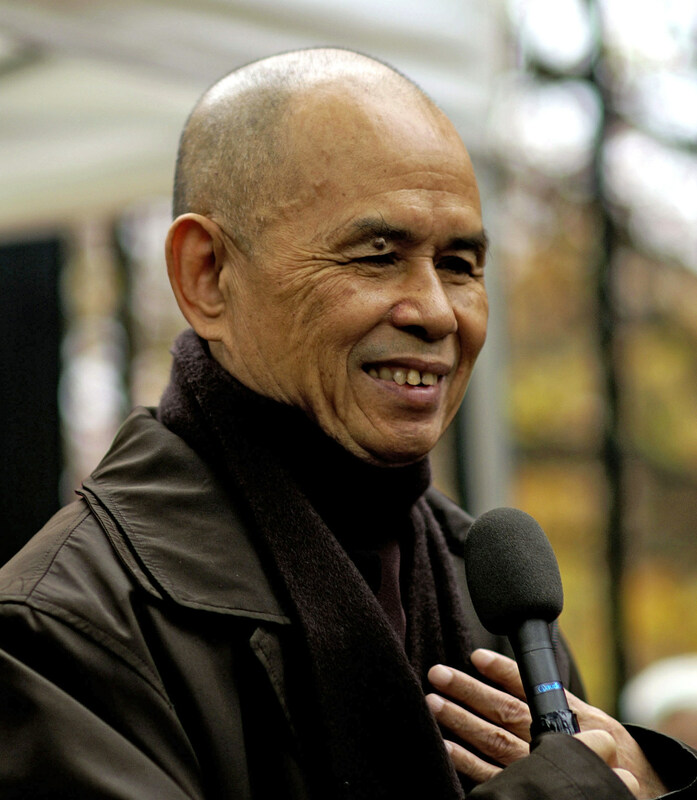 Just sitting here and thinking about my letter to Thay, asking him directly for help on my path of mindfulness and compassion, telling him how much I want to be able to hold all suffering, all pain -my own, as well as those of others- touch the seeds of hope and trust. I enjoy feeling the gentle touch of my tears rolling down my cheeks. None of my troubles have been resolved yet, I still feel my loneliness and grief, and I feel relieved to be in touch with these feelings. This rawness, this tenderness, is such a better place to be in, than this constricted wall around me. You want help to find your source of support and encouragement? Contact me 512-589-0482 to schedule a complimentary, discovery session to see if and how I can help. Previous PostPrevious Who am I? A glimpse of understanding my true nature.